Today my tiny little baby turns 4 and a half – only 6 months away from 5, which feels like some sort of huge milestone. Five years we have shared together, five years which feel like they’ve been both incredibly long and unbelievably short. Five sees us really undeniably leave the baby and toddler stages behind, meaning I will be the proud mother of a proper little boy. For many children turning five means starting school, and entering a whole new huge chapter. When they are babies it’s so difficult to imagine them at any other age, so hard to think about what their little personalities might turn out to be. Now at nearly 5 I can hardly remember Dil any different to the way he is now; my perfect little opinionated, brave, boisterous, kind and considerate little boy. Thinking about how fast the last 4.5 years has gone, and knowing how quickly the next 6 months will fly by, makes me want to really make the most of this special time. The time before he is more interested in computer games than spending time with me, the time before he will choose a day out with his friends over one with his Mama. I want to savour this time, while I’m still his whole world, because he will always be mine. I want to spend this time creating memories that will last a lifetime, memories than him and I will remember forever. 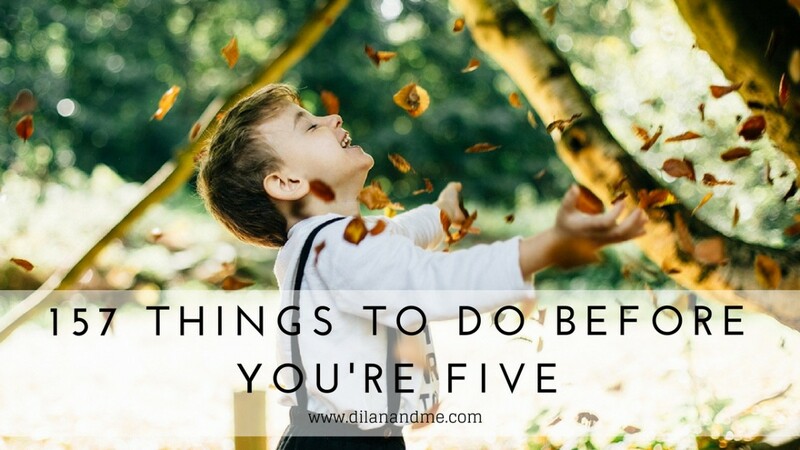 I already put together a list of 30 things I want to do before I turn 30 and now I’m thinking about all the things Dil can do and experience before entering the next stage. Childhood is such a magical thing, and there are so many things that I believe are essential parts of experiencing that magic. 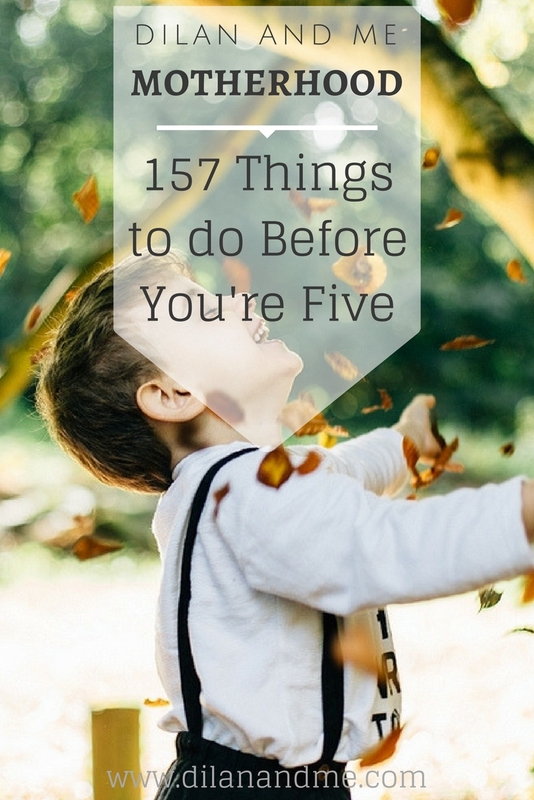 This list is much more about memories, fun and embracing childhood than it is about gathering things – and I think a childhood filled with even half of them would be a childhood well spent. That was a pretty elaborate list. But, saving money was my favorite one. If the kids don’t learn the value of money and the importance of saving it, at an early age, then there is a good chance that they will spend their life spending mindlessly. Have you read “Rich Dad Poor Dad”? If not, then you definitely should.